[1.3] Select ‘Alpine Australia’, then ‘INE-W940E/INE-W960A’ as your Device. [1.5] Enter your details, and then click ‘Create your Account’ button. You will receive a confirmation email now. If you have not received the email after a few minutes, please check your ‘junk’ mail folder. TIP: Select something easy to remember for future use, or keep somewhere safe for future updates. [1.6] In the email, you need to click the confirmation link to confirm that you have created an account with Naviextras. [2.1] You will need a blank USB with a minimum of 8GB of memory to complete this step of the update. The USB should be formatted in the FAT32 format. [2.2] Power on the navigation system by turning on the ignition. Connect the blank, FAT32 formatted USB stick to the navigation system using the USB extension cable in your vehicle. [2.3] Go to the Navigation Menu (Blue button in the bottom left-hand corner) > Settings (Spanner top right-hand corner) > Then scroll down to and tap “Update”, then “Go”. If the Update button is not selectable, try to remove then re-insert USB. Alternatively, you can try another USB stick. [2.4] Synctool screen will start up. Initialisation screen may take up to a minute or so – this is normal. [2.5] Tap Collect Device Information. This should take approximately 1 minute. Do not disconnect the USB Stick or turn the vehicle off during this step as it may not correctly collect device information. [2.6] Remove the USB Stick when prompted to do so. Tap “OK” to finish this step. [3.1] Connect the USB Stick with your vehicle information to your PC. [3.2] Start the Naviextras Toolbox. The prepared USB stick will be recognised as your navigation device. It will take a few moments to communicate with the Naviextras server. [3.3] At this point you will need to login to your Naviextras account. If you have not already created a Naviextras account, please refer back to step [1.2]. [3.4] Click the Updates tab located on the left-hand side of the Naviextras toolbox. It will display “You have a map update available”. Click on “Install”. 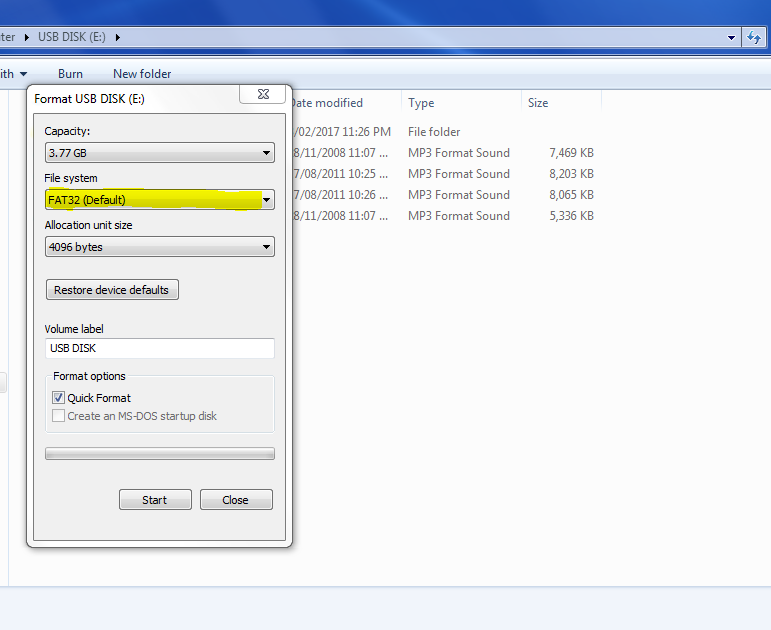 [3.5] Once it has finished downloading onto your USB stick, safely remove the USB stick from your PC. [4.1] Power on the navigation system by turning on the ignition and insert the USB using the USB extension cable in your vehicle. [4.7] Once finished, you will receive a message saying “Content update successful.”. You may now remove the USB Stick, and tap OK. The navigation system will restart automatically.